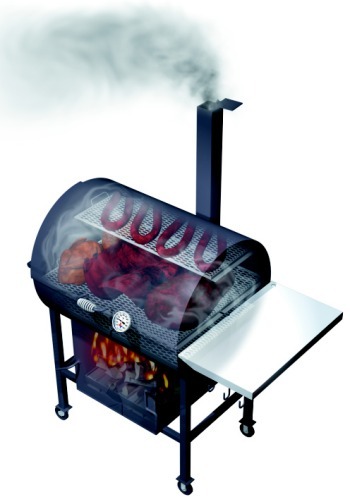 The model 2430 Combo is a unique barbecue pit smoker and barbecue grill all in one. A Tejas barbecue pit smoker is a pleasure to cook on because you can focus on COOKING, not messing with the barbecue pit trying to keep it at temperature. When used as a barbecue grill it has a surprising amount of grilling area on two levels. Tejas Smokers® barbecue pits are bbq pits that are built to last and with great attention to detail. 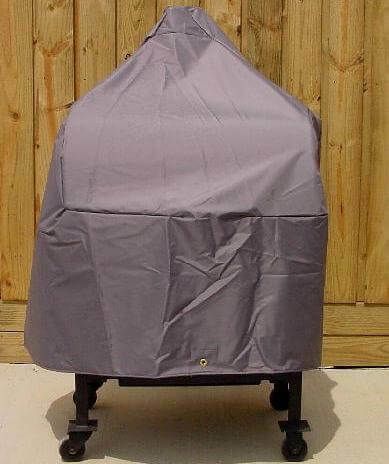 A Tejas Smokers® model 2430 BBQ Smoker Pit from Houston Texas makes cooking barbecue easy. ► 3 framed lift out cooking racks,(one upper, two mid-level) each 11" x 27"
► 2 additional cooking grates in water pan, each 12" x 18"
► Distance from bottom of water pan to lower cooking grates - 6"
► Distance from bottom of water pan to upper cooking grate - 11.5"
► Distance from bottom of water pan to top lid - 19"
► International crate dimensions: 49"L x 37"D x 59"H, crated weight at 600 pounds. Consult International Shipments at bottom of the page for more details. 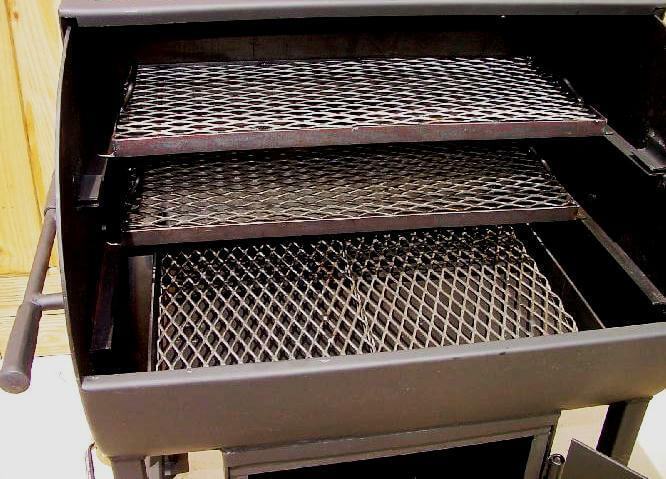 ► cooking barrel 24" x 30"
When you first purchase a Tejas Smoker Pit or Grill you have the option of purchasing Charcoal Grate Forks, Fire Pokers,or 14" Poppa's Hooks at $10.00 each. The regular price of a #1510 Charcoal Grate Fork is $16.95. The regular price of a #1512 Fire Poker is $16.95. The regular price of a Left Hand or Right Hand 14" Poppa's Hook is $21.95. Tejas Smokers® ships charcoal grills and smoker pits all over the world. As a high volume shipper we get excellent freight rates. Call us at 713 222 0077 for custom freight quotes to your location. Of course, you can pick your 2430 Deluxe up at our Houston, Texas warehouse if you live nearby. We try to keep all models in stock all the time. Got questions? Give our smoker pit specialists a call.